Size: 3-8", 1/2", 3-4", 1", 1¼", 1½", 2", 2½", 3", 4"
Specifications of our conduit pipes are of international standards, which are widely acceptable by different companies of electrical, construction. 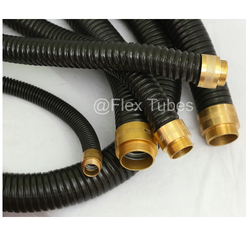 Flexible conduit pipe, metallic and pvc coated flexible conduit. Liquid Tight Galvanized Flexible PVC Coated conduit. We feel immensely pleased to offer our customers the perfect array of Liquid Tight Flexible Conduit. They are highly appreciated for its quality and finish. We offered PVC Coated Galvanized Flexible Conduct which is hugely admired for excellent resistance against corrosion. These steel flexible conduits are most appropriate for difficult position installation and in places where assured water tightness are required. 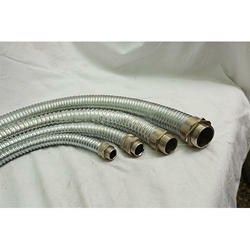 We have an extensive range of GI Flexible Pipes, which are obtainable at most competitive prices. Our GI Flexible Pipe is manufactured using premium quality galvanized irons that is sturdy in construction, resistance to corrosion and temperature and have durable life.